India will go to elections in seven phases beginning from Thursday. "Perhaps if the BJP (Bharatiya Janata Party)....wins, some kind of settlement in Kashmir could be reached," Khan told a small group of foreign journalists in an interview. He said other parties would be afraid of right-wing backlash in case of settlement on the Kashmir issue. Khan said Kashmir was the central issue between the two countries. India maintains that the entire state of Jammu and Kashmir is an integral part of the country and Pakistan is in illegal occupation of a part of the state's territory. Tensions flared up between India and Pakistan after a suicide bomber of Pakistan-based Jaish-e-Muhammed (JeM) killed 40 CRPF personnel in Kashmir's Pulwama district on February 14. Amid mounting outrage, the Indian Air Force (IAF) carried out a counter-terror operation, hitting the biggest JeM training camp in Balakot, deep inside Pakistan on February 26. The next day, Pakistan Air Force retaliated and downed a MiG-21 in an aerial combat and captured an IAF pilot, who was handed over to India on March 1. 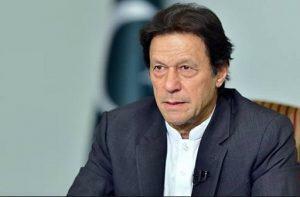 Khan has said that Pakistan was taking action against all militants groups including the JeM. Khan said that groups like the JeM were being disarmed under a serious drive to eliminate militancy from Pakistan. "We have taken the religious schools of these groups under state control. It is first serious effort to disarm the militant outfits,” he said. Khan said action was taken because it was important for the future of Pakistan. He also rejected the impression that Pakistan was compelled by the world to taken such an action. A R Rahman in Oscar race again with "Pele"